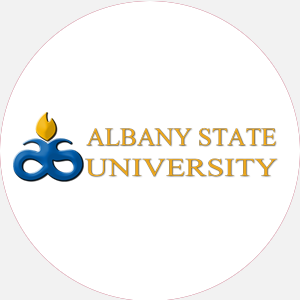 Albany State College is a four-year state-supported, coed, liberal arts college that was founded in …. Albany State College is a four-year state-supported, coed, liberal arts college that was founded in 1903 as Albany Bible and Manual Training Institute. The mission was to train black teachers to teach basic skills and to train black students in the trades and industries, with special emphasis on domestic science and art. The school was initially supported by religious and private organizations. In 1917, when the school became a two-year, state-supported institution, the name changed to Georgia Normal and Agricultural College. In 1932, the institution became part of the University System of Georgia, and in 1943, the College was granted four-year status, assuming its present name, Albany State College. As the College continued to grow, the mission changed to meet present-day educational needs. Teaching, research, and community service were adopted into the mission of the College. A graduate program was established in 1972 through other colleges. In 1981, the College began to offer a graduate program that was delivered solely by the faculty and staff of Albany State. Expansion included a new criminal justice building, a modern student union, and a library completed in 1994. The 128-acre campus has both traditional and modern buildings. The growth on the campus came as part of a 3 million project with most of the funding coming from FEMA after a 1994 flooding of the adjacent Flint River left most of the campus under water. Albany State College is accredited by the Southern Association of Colleges and Schools to award the Bachelor of Arts, Bachelor of Science, and master\’s degrees. July 1 (fall); November 15 (spring). Entrance Requirements: A high school graduate (or equivalent) with a minimum of the following 15 units: 4 English, 3 mathematics, 3 science, 3 social science, and 2 foreign language; a minimum 2.0 high school GPA. A minimum of 120 semester hours, including the core requirements of 6 hours of mathematics, 6 hours of science, 3 hours of music appreciation, 3 hours of fundamental speech, 3 hours of health and physical education, and 3 hours of actual job experience. Total enrollment: 3,525 In-state: 3,363 Full-time undergraduates: 2,569 Part-time undergraduates: 560 Graduate students: 421 Ethnic/racial makeup: African American, 3,256; Asian, 6; Caucasian, 245; Hispanic, 14; Native American, 4. Campus Regulations: Class attendance is compulsory; cars must be registered; curfews are enforced. Students from outside the Albany area are expected to live on campus. Campus Services: Health center; personal and psychological counseling; late-night transport; remedial instruction; career planning and placement; testing for GMAT, LSAT, SAT, and CLEP; and nondenominational religious activities. September-June (semesters) Commencement and conferring of degrees: June One summer session.